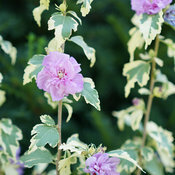 Variegated foliage gives makes this rose of Sharon extra special. Why plant just any old rose of Sharon when you can plant a variegated one? 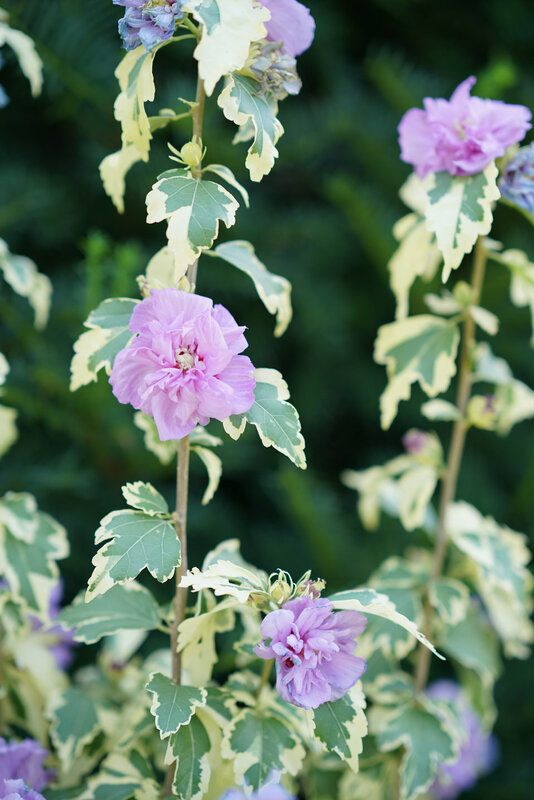 Sugar Tip® Gold rose of Sharon is just as easy to grow and maintenance free as other varieties of this summer blooming favorite, but instead of plain foliage, its leaves are edged in a bright, cheerful gold. 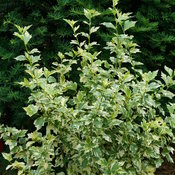 These keep the plant colorful and interesting in spring, then come summer, the playful foliage is accompanied by doubled purple flowers. As an added bonus, this plant creates far fewer seed than conventional varieties so won't make a nuisance of itself. Available in better garden centers in spring 2019. 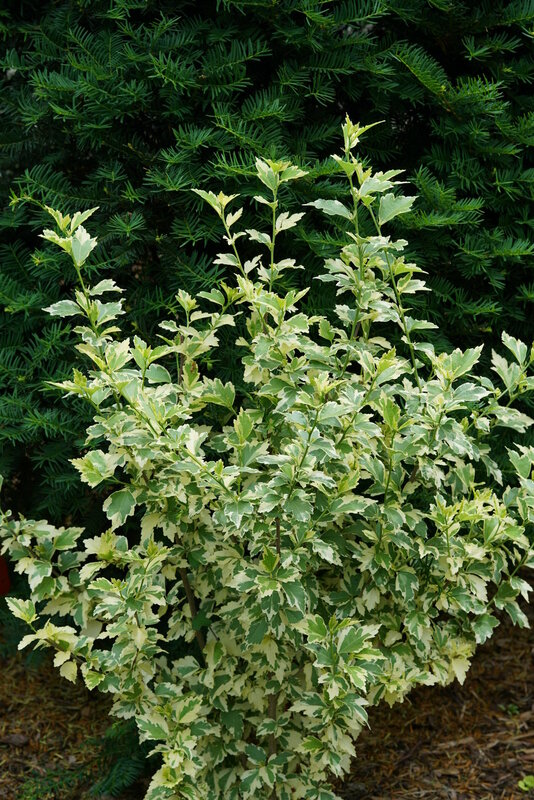 Gold variegated foliage makes the plant colorful and interesting even when not in bloom. Purple double flowers in summer set few seeds. 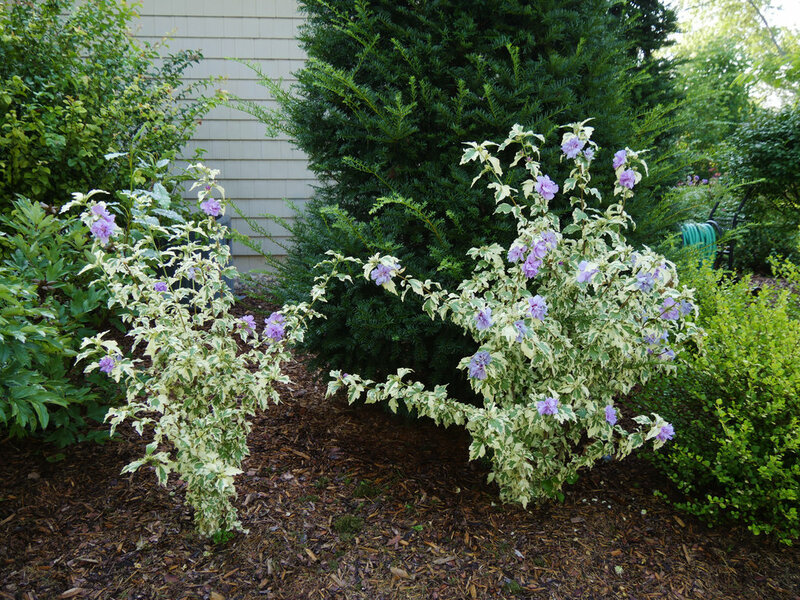 As maintenance-free as you expect from rose of Sharon. 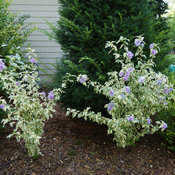 Rose of Sharon is a versatile plant for landscaping. Plant it in any sunny spot for best color and most flowers. 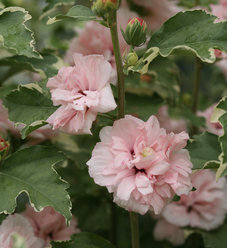 Rose of Sharon needs little to no care special care. A 2-3" layer of shredded bark mulch is always a good idea. 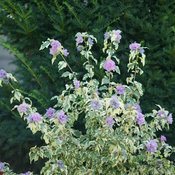 Rose of Sharon typically needs tlittle to no pruning, but if you wish to prune it, do so in early spring. 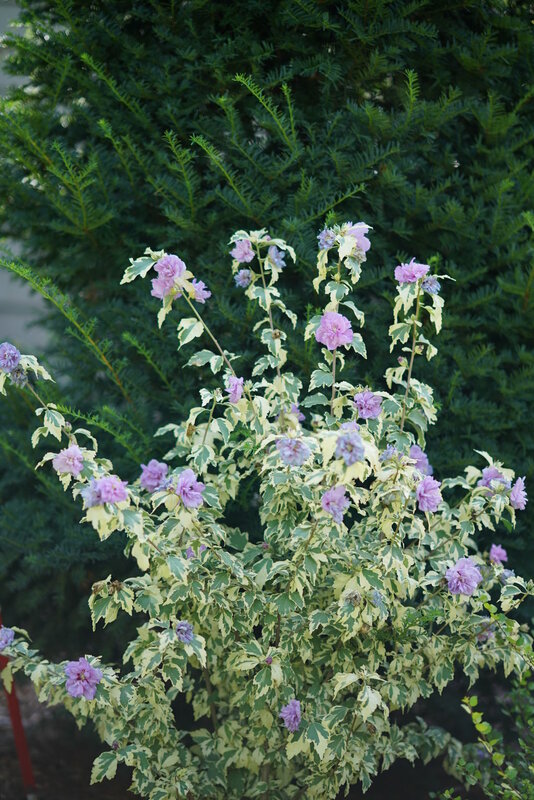 Fertilize in early spring with a granular fertilizer formulated for woody plants, like a rose fertilizer.